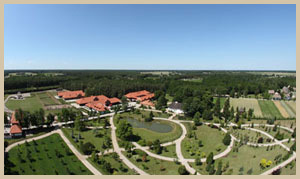 In 1975 the Ethnographic Park in Sierpc was created which initially functioned as a branch of the Ethnographic Museum. 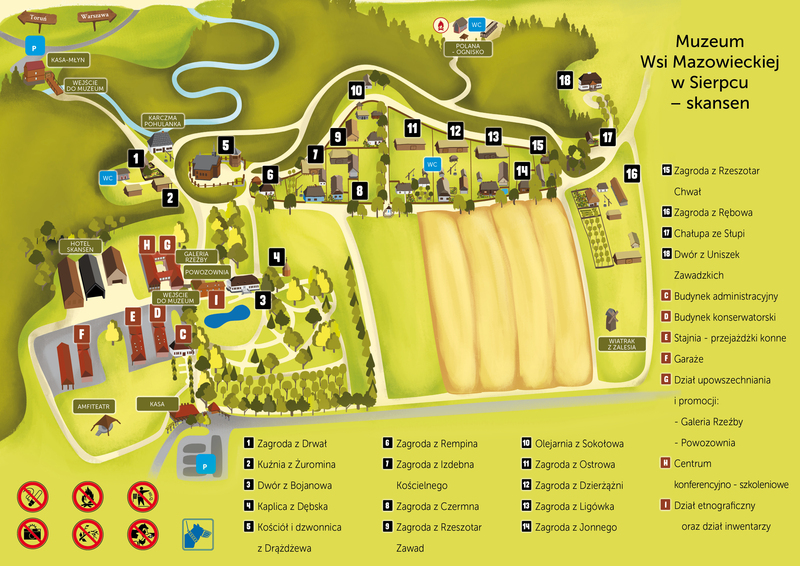 It was not until 1987 that both establishments were joined – the Ethnographic Museum and the Ethnographic Park – and renamed to the Museum of the Mazovian Countryside in Sierpc. Newly created ethnographic museum in Sierpc was based on principles in accordance with which not only translocated buildings were considered monuments but also spatial layout and its related elements, for instance, forest stand specific for a particular area. Thereby apart from translocated buildings it was important to recreate the interiors as well as micro-landscapes related directly to regions from which particular farmhouses or elements of small architecture: small chapels, crosses, etc. come. 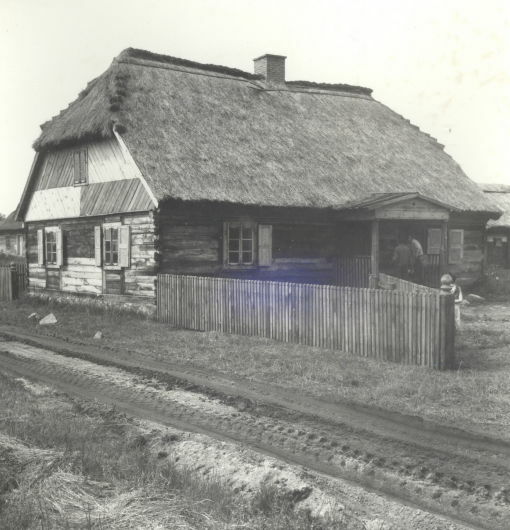 In the initial phase of assumptions 6 types of village were to be presented in the ethnographic museum in Sierpc: linear, encircling, concentrated along 2-3 roads forking in letter V shape (widlica), along several roads (wielodrożnica), oval village (owalnica) and forest village. 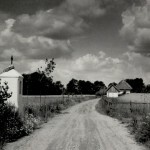 It was first assumed that the area of the ethnographic museum should extend on both sides of the road from Sierpc to Toruń. On one side of the road three most characteristic village types for the Mazovian settlement were to be recreated: linear, row village and minor gentry hamlet. In sector on the other side of the road the development of other types of village was to be recreated. 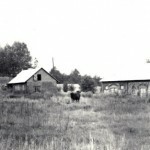 Construction of this sector was abandoned for different reasons. 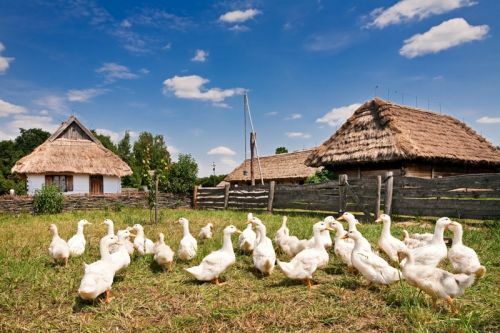 Hitherto typical for post-enfranchisement Mazovian village – row village was recreated within the area of the Museum of the Mazovian Countrywide in Sierpc. 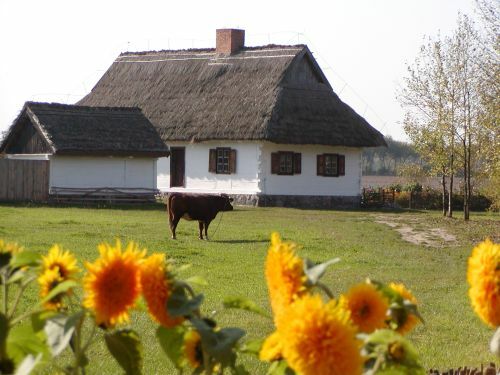 It comprises 9 peasant farmhouses from north-western Mazovia. 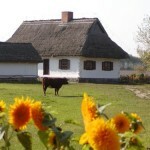 In the ethnographic museum the farmhouse from Rębów was also reconstructed which comprises a windmill. 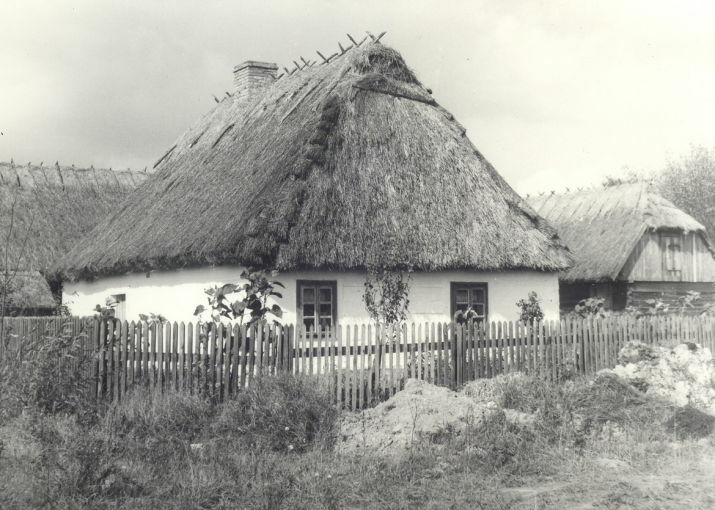 - A group of inns with an inn from Sochocin – the only building of this type preserved in north-western Mazovia, smithy from Żuromin and cottage from Drwały. - Courtly development with a landscape park and reconstructed building of a court with beautiful interiors prepared with great thoroughness of details and historic compatibility. 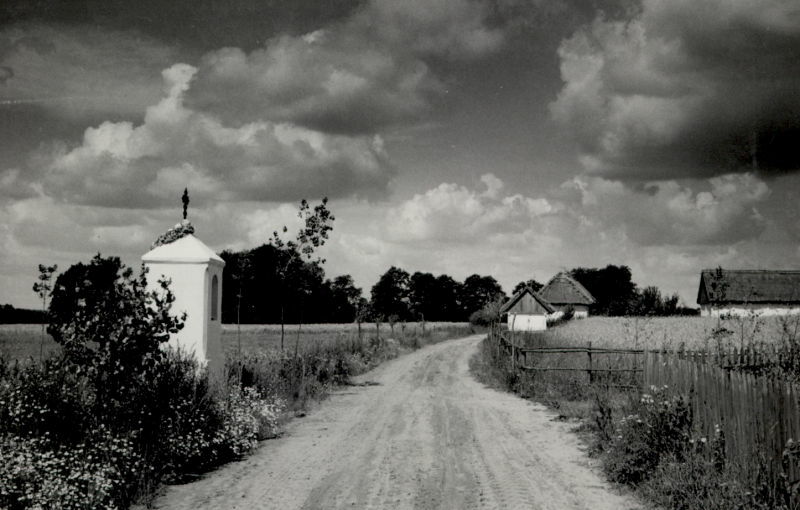 The Courtly development encompasses also an original 17th-century chapel from Dębsk. - Church with a belfry. It is an 18th-century church moved in 2007 from Drążdżewo located near Przasnysz. Cottages surrounded by vegetable and flower gardens or apiaries and animals living here make an impression of a village that is still teeming with life. Buildings interiors are adjusted to their functions, they change with calendar pieces of paper torn. 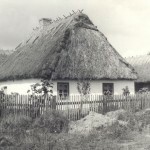 Cottages furnishing and the appearance of farmhouses themselves indicates financial diversity of their owners. Next to affluent flats, there are poor cottages furnished only with the most indispensable appliances. Such background turns out to be excellent for presentation of everyday village farm and domestic activities. 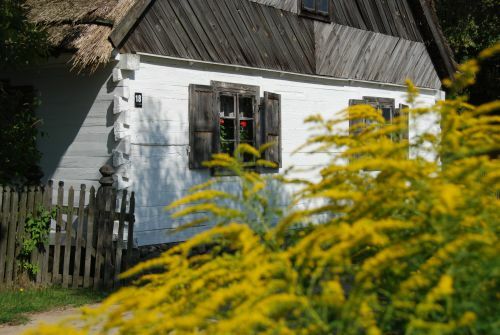 Between 2004 and 2011 within the area of the museum exhibition, among others, 11 farm buildings were built and reconstructed, 18th-century church from Drążdżew was translocated. - “Collection of folk sculpture from the collection of the Museum of the Mazovian Countryside in Sierpc” (2008). - “Courtly transport in the collection of the Museum of the Mazovian Countryside in Sierpc” (2008). The investment allowed to extend the educational and recreational offer of the Museum, facilitate service of tourist movement and enrich museum exhibitions. In 2010 a residential and farm building characteristic of the Dutch settlement was bought and moved to the Museum. 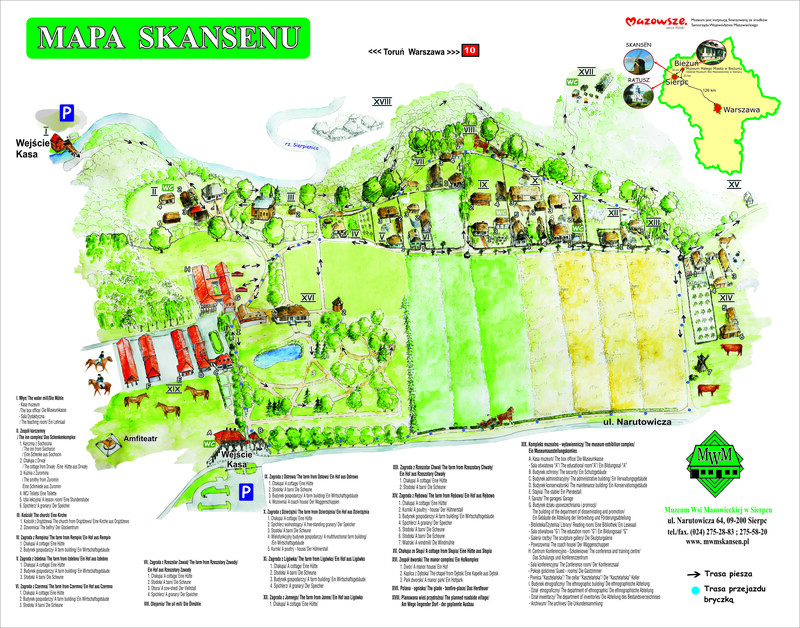 Its placement is planned for 2012. Currently, works are being conducted related to moving and placement of the court from Uniszki Zawadzkie which shall be the first original establishment representing landowning construction reconstructed within the Museum area. Another village type is also planned for reconstruction in the ethnographic museum. It is a roadside village that shall encompass, except for peasant farmhouses, presbytery buildings, an inn and smithy.